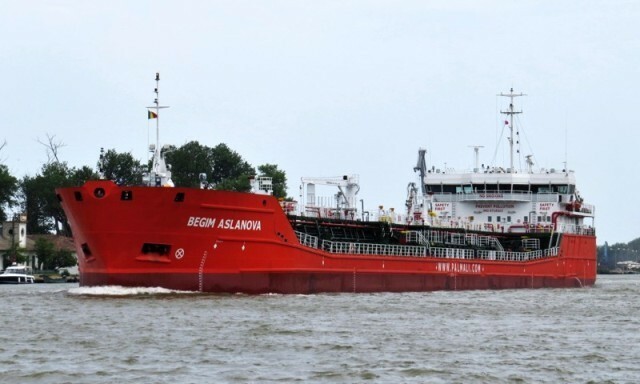 On November 6, 2015, Palmali Group took delivery of 7,100 DWT tanker Armada Breeze, twelfth Volga-Don Max tanker of mixed 'river-sea' navigation (project RST22M), the series projector Marine Engineering Bureau says. Two more tankers of the series launched in August-September are to be put into operation in November 2015. Twenty six tankers of the Armada first series and the New Armada second and third series have entered service and are engaged in mixed river-sea transport by Palmali, carrying from Russian river ports heavy fuel oil, diesel fuel and other oil products and vegetable oils, and in maritime transport in the Caspian, Black, Mediterranean, Baltic and North seas, including winter voyages around Europe and in the Irish Sea. Three more tankers are currently being built by two different shipyards. Vessels of the third series (11 of them are in operation) is an evolution of 005RST01-series tankers, known as Armada first series, previously designed by the Marine Engineering Bureau for Palmali Group and built between 2002 and 2006 at Tuzla, Turkey based SELAH and ADA yards and a second modification of second series of tankers of project RST22, which were built at Nizhny Novgorod based Krasnoye Sormovo Shipyard in 2008-2009. All in all, the shipyards have built 10 Armada-series tankers of project 005RST01 and seven New Armada-series tankers of project RST22 (five of them for Palmali Group). A distinctive feature of RST22M, RST22, 005RST01 and RST12 design tankers is full revolving rudder propellers, increased trunk and submersible cargo pumps. They have no longitudinal bulkhead in CL and no framing in cargo tanks. The vessels satisfy the Volga-Don Canal and the Volga-Baltic Waterway dimensions. Length of RST22M vessel is 139.95 m, breadth – 16.6 m, depth – 6.0 m. The vessels’ class is Volgo-Don Max. The new design tankers feature reinforced marine capabilities as compared with the Armada first series, with a deadweight increased by 750 tonnes in sea and increased capacity of cargo tanks while maintaining river capabilities. The vessels fully meet new international requirements to transportation of vegetable oils including two-compartment subdivision. The design was tailored to meet the specific requirements of Russian and global oil companies, additional ecological restrictions of the Russian Maritime Register of Shipping «ECO PROJECT» (ECO-S). Capacity of six cargo tanks and two slop tanks is 8,089 cbm, sea DWT at 4.60-meter draft reaches 7,103 tonnes, river DWT / 3.60-m draft is 4,706 tonnes, operational speed is 10.5 knots. RST22M vessels meet the requirements RS class KM Ice 2 R1 AUT1 COMBO oil tanker/chemical tanker type 2 (vegetable oil) (ESP) ECO-S. 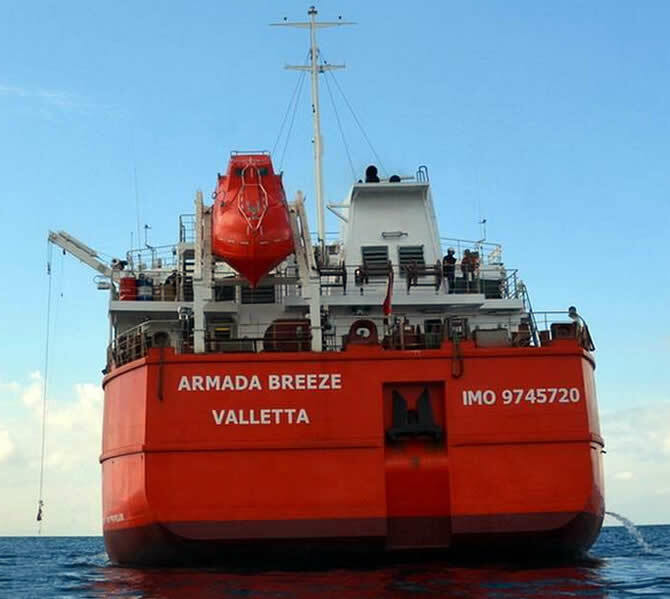 In comparison with the second Armada series the modified tanker design took into account all the new requirements of international conventions and rules of the Register (MARPOL requirements for access in the space of double sides and double bottom, etc.). The new series tankers feature more powerful cargo pumps (six pumps with capacity of 200 cbm / h versus 150 cbm / h in previous series), which reduced the time cargo operations by approximately 2.5 hours. In addition, the new project includes submersible ballast pumps (no stern manifold) and significantly changed engine room equipment layout.